Row after row of spotlessly white buildings, with staffs of highly talented surgeons and a small army of nurses who tried to serve the sick and wounded. American Evacuation Hospital, No. 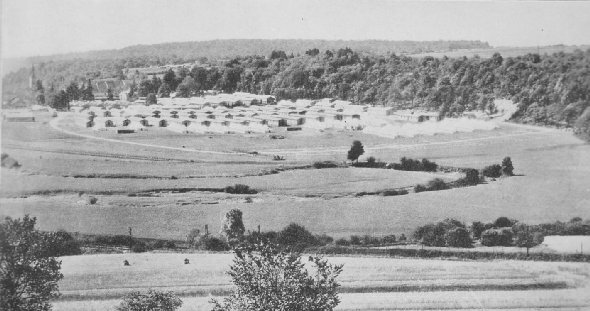 6, Neufchateau, France, Aug. 26, 1918. Personnel of an American Evacuation Hospital in France. 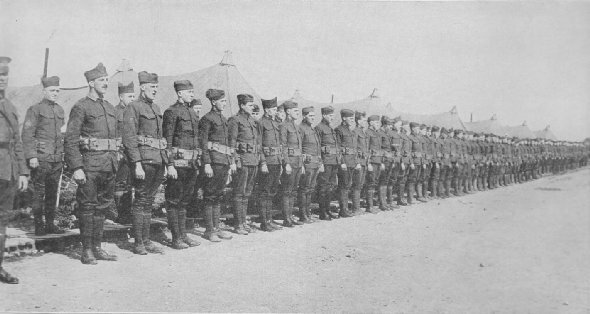 Men of the 26th Div. lined up for inspection. It is safe to say that every pair of boots and every khaki uniform will satisfy the searching eyes of the commanding officer.